I have a disputed diagnosis of schizophrenia and have lived with this diagnosis since 1997. 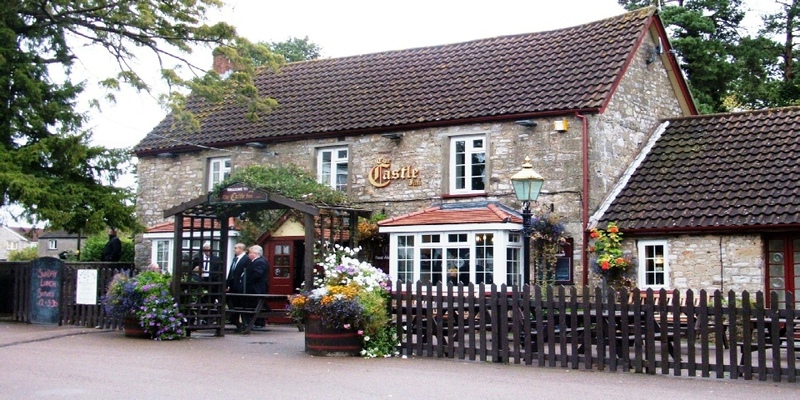 For the past 18 months I have been banned from drinking more than two pints of beer in my local pub in Caldicot, the Castle Inn. This blog post will tell the story of how this ban came about and how I intend to fight for my rights to overturn the ban. I had been sectioned and detained in the mental health system at Talygarn Ward, Griffithstown County Hospital, Pontypool. I spent several months locked up and was treated against my consent with Clopixol depot injections by the Muslim psychiatrist of Indian origin, Dr Basu and his sidekick the half-Iranian Dr Al-Hasani. When they finally released me from hospital I got home and went straight down to the Castle Inn for a quick pint to settle my nerves. Inside the mental hospital there is a ban on alcohol for all patients and they even breathalyse you with drink-drive breathalysers on your return from any leave to test if you have drunk any alcohol. The reasoning behind this is that mental health establishments treat a lot of alcoholics and alcohol is forbidden, even if, like myself, you have never had any issues with alcohol. I feel that alcohol is a decent recreational drug that is part of British culture and having worked in the entertainment industry my whole life I am well used to it and regard it as an essential part of my life. Landlord, Steve Gribble, refused to serve me a pint and said that the local police had, on my doctor’s advice, placed a ban on me drinking alcohol in my local community. Apparently alcohol doesn’t mix with my medication. I was absolutely disgusted by this. I felt that patient confidentiality had been breached and that my psychiatrist was unnecessarily interfering with my life in the community. I argued with Steve the landlord and put forth my views and he came together with a compromise that I would be allowed in his pub but had to stick to a two pint limit and leave. This ban has stayed in place now for 18 months and even at funeral wakes I have to leave after two pints. Landlord Steve Gribble and his wife Judy Gribble, are doing their jobs but I feel that they are breaching the Equality Act 2010 in their treatment of me. Under the Equality Act, public services are not supposed to discriminate against you for any form of disability. I believe that I am being used as a guinea pig and that this new policy has not yet spread across the UK. The licensing trade is already suffering enough and is in a massive recession, with pubs closing their doors permanently like never before. The pub is a traditional British Institution and a cornerstone of our communities. Will mental health drugs be replacing alcohol as our method of relaxation? Will mental hospitals be becoming the new place for community hubs to exist? We are witnessing change with draconian mental health policies, backed up by the police and establishment. Mental Health is becoming an ever more buzz industry and although much of the public never see the inside of a mental health establishment, many are prescribed outpatient treatment, be it anti-depressants from their GP or over the counter sleeping tablets. At what stage will doctors cease to reveal to pub landlords private medical details such as a patient’s condition? If a visit to a doctor means that they will inform all and sundry about your health condition then where does this leave us? I am non-consensual to treatment and refuse medication as I do not believe I suffer from the diagnosed condition. Dr Basu is acting extra-judicially, out side of the law and I believe is in fact breaking the law. I am disappointed that Steve Gribble, a man who I admire and respect, has tolerated this open abuse of my healthcare. Perhaps the ban has served me well and being minus alcohol is beneficial to my health. I feel, however, that pub landlords should be controlling the sale of alcohol to people with alcohol-related health conditions and they do continue to serve alcoholics in pubs across the land. I’ve decided to take the matter public and am pursuing a court case against the Castle Inn. I feel that my lone voice needs to be heard and that I need to warn the public about the sinister activities of the local southeast Wales mental health system who will stop at nothing to continually disrupt my life. This entry was posted in Articles, Complaints, Controversial, Dr Basu, Gwent Police, Human Rights, Mental Health Act, Mental Health Law, Mental Health Services, Mental Illness, Psychiatrists, Psychiatry and tagged alcohol and mental health, Caldicot, caldicot castle, caldicot entertainemnt, castle, castle inn, castle inn caldicot, clopixol, dr al-hasani, dr basu, Dr Nilanjan Basu, equality act, equality act 2010, Human rights, judy gribble, Mental health, Mental Health Act, steve gribble on 28th December 2016 by Wez G.